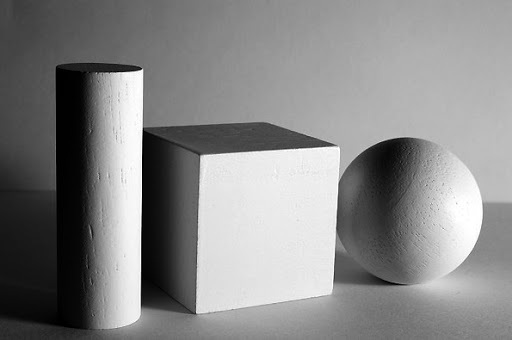 In this worksheet you have three simple solid figures: a cylinder, a cube and a sphere. 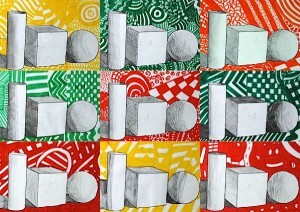 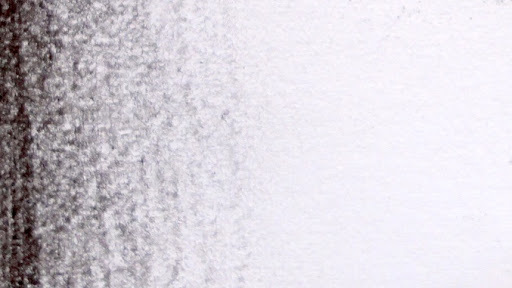 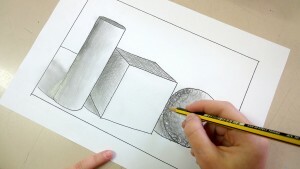 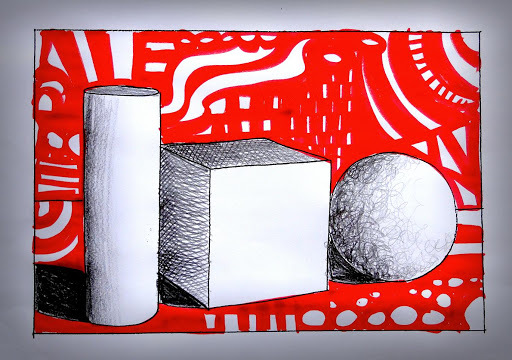 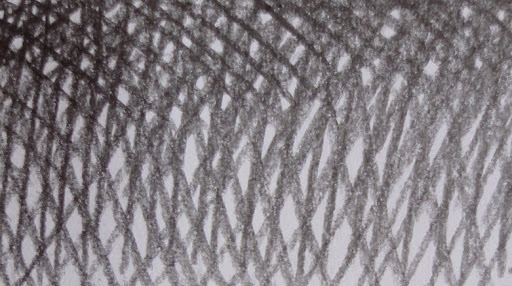 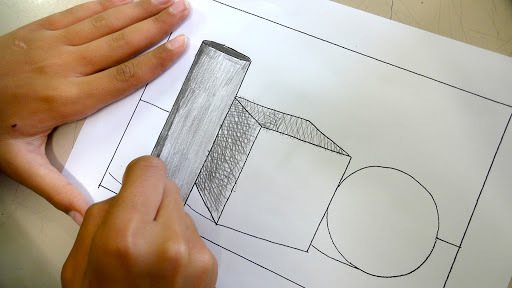 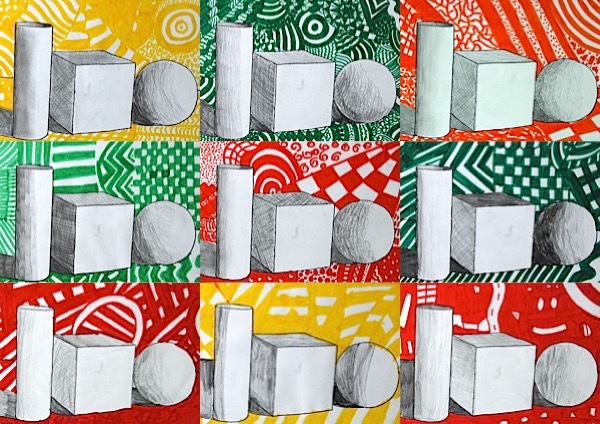 Starting from this linear drawing, you can deal with various topics at the same time: theory of the shadows, drawing techniques for shading, relationship between positive and negative space. 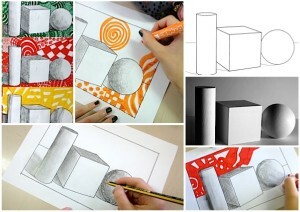 For this work are required only a soft pencil and a felt tip pen, but the variants may be many, such as colored shadows with pastels or different ways to decorate the background. 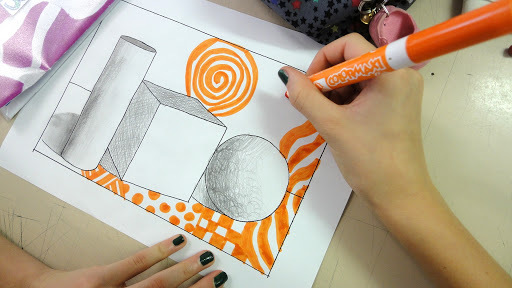 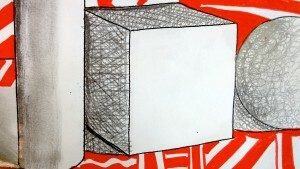 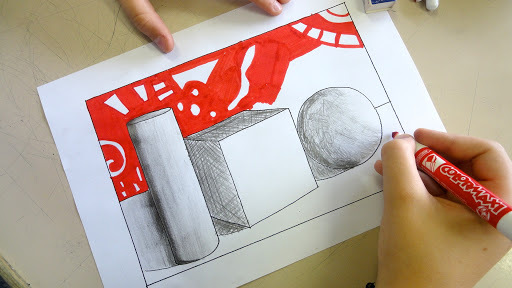 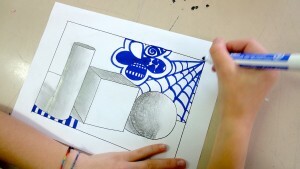 Afterwards they colored the background with markers, drawing abstract shapes and lines.